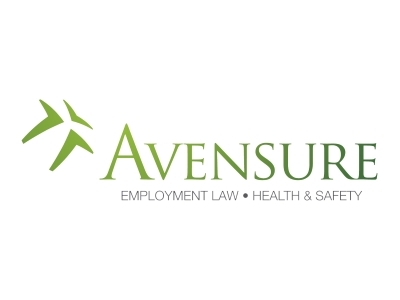 Founded on a philosophy of efficiency and excellence, Avensure Ltd is an insurance backed, consultancy business specialising in HR, Employment Law and Health & Safety. We offer a fresh approach to consultancy, training and support services, working closely with businesses of all sizes, from all industry sectors. Our guiding objective is to become an essential part of your business by providing you with the service and support that protects your company against unnecessary conflict and enhances its growth and productivity. We ensure all clients have a tailor-made and consistent service, where they are partnered with a team of qualified experts, resulting in strong, long-lasting working relationships. Avensure is a recent recipient of the Investors in People Gold Award, which found the culture to be “absolutely professional and with a greater understanding of what ‘good’ looks like”. Our commitment to best practice is what we believe we can offer Lancashire’s businesses. We are determined to protect employers from any pitfalls they may face in today’s ever-changing legislation, especially if they are just starting out and not in a position to hire a HR professional on their team. Everything from employment contracts to your recruitment process and stages, we offer free downloadable guides and thorough webinars that will educate small-medium businesses and secure their growth for the foreseeable future. Get your documentation right. Small businesses DO NOT have the same defense budget that big corporations do. You may well have members of staff who you consider friends that “would never hope to harm your business” but unfortunately small businesses are more likely to suffer bigger losses as a result of the informal hiring and firing processes that are linked to start-ups. The reason why Lancashire is a great place to grow a business is because of the diversity in our industries. From Manchester’s creative hub to the growing tech start-ups in the north west. There are plenty of business ideas that are only now getting the necessary spotlight to help them progress into the market. Again Lancashire is on the cusp of a revolution of small-medium businesses and we want to be a part of the movement that allows these groups to flourish and be successful in their fields. It’s important that growing businesses are familiar with the potential costs of HR slip ups and we want to provide accessible, bespoke solutions to any issues they may have.